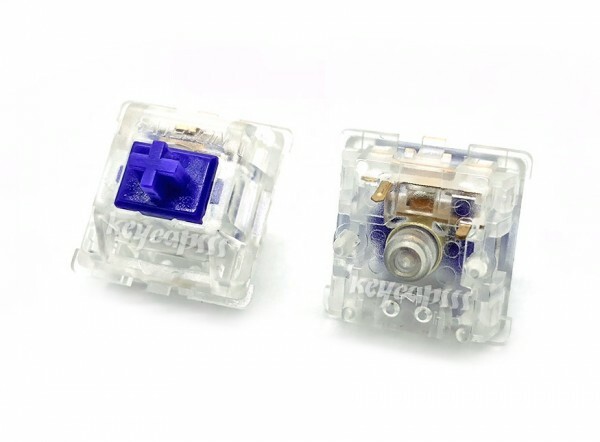 Product information "Zealio Switch Purple Tactile 5 Pin"
62g Zealios - Smooth and light, a bit heavier than MX Browns in weight, but offer a much smoother experience with a larger "one smooth motion" tactile bump feedback when compared to MX Browns. Lightest variant Zealio. 65g Zealios - Smooth, long, drawn out tactile bump in the middle. Nice cushion during bottom out. 67g Zealios - Smooth, "crisp & responsive" tactile bump feeling near the top (this is due to the spring design, all Zealios share the same stem), more cushion during bottom out than 65g Zealios. 78g Zealios - For those that prefer a slightly lighter MX Clear, but want a smooth and apparent tactile bump. From beginning to end, the spring is heavier than all other Zealio variants. Customer evaluation for "Zealio Switch Purple Tactile 5 Pin"